Steve Flammia wrote a flattering post on The Quantum Pontiff about a game we used to play, in which Steve would ask a question and I would have just a minute or two to prepare a 20 minute mini-lecture answering the question. Steve reports that “these were not easy questions.” But actually most of them were. For the record, I explained that there are no operators of dimension four or less, allowed by the symmetries of the standard model, that give neutrinos mass (if there is no light right-handed neutrino) … But there are dimension-five operators which generate neutrino masses when the electroweak gauge symmetry becomes broken; these operators can arise in the effective Lagrangian when we integrate out shorter-distance physics (for example, the new physics associated with grand unification), appearing with a coefficient suppressed by a factor of the short-distance scale. Okay, maybe you don’t know what all those words mean, but trust me — in 20 minutes one can explain it all pretty well. Steve Flammia is a brilliant and erudite physicist and applied mathematician, who appreciated my explanation thoroughly and immediately. Why had he never heard this argument before? There must be thousands of physicists who could have explained it as well as I did. I was reminded that, if you pick any two recent physics PhDs, each will know a lot, but the intersection of what they know might be surprisingly small. When I was a graduate student at Harvard in the late 1970s, I had several local heros, including (then) postdocs Edward Witten and Michael Peskin. 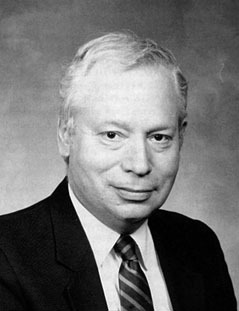 But my biggest heros were Steven Weinberg and Sidney Coleman — two very different men, each fascinating in his own way (more about that another time). Neither one of them ever told me to do anything or not to do anything, which may be why I tend to have a laissez-faire attitude toward my own students. 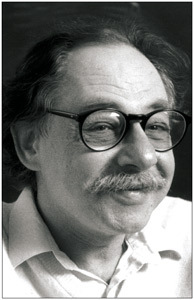 Weinberg was interested in cosmology, so I read all his papers (and his book) about that. Coleman was interested in magnetic monopoles, so I thoroughly studied his 1975 Erice summer school lectures about that. But it turned out that, at least at that time, Weinberg knew little about monopoles, and Coleman knew little about cosmology. I knew both. I was a two-trick pony. Knowing two tricks made it relatively easy for me to realize something interesting — that according to standard big-bang cosmology lots and lots of magnetic monopoles should have been produced in the early universe, many more than we see around us today. This discrepancy revealed that something was seriously wrong, a puzzle which would be addressed by the theory of cosmic inflation. I found out later that Zeldovich and Khlopov had arrived at an insight similar to mine, and that Kibble had also noticed that magnetic monopoles should have been created in the early universe, without fully appreciating the implications. But despite these antecedents my paper on the subject (my very first publication) attracted a lot of attention, and eventually helped me get this job at Caltech. A one-trick pony can achieve great scientific success, by attaining world-class mastery of a single trick. But a two-trick pony, even one with limited technical prowess, can sometimes make influential scientific contributions just by noticing fruitful connections between different topics or ideas. I’ve been a two-trick pony throughout most of my career. Thanks for the suggestion Class of ’06. We have re-enabled the “full feed” mode on RSS. You make it seem so easy. Very interesting but too concise. Could I ask, which dimension-five operators may generate neutrino masses. If it a model with Majorana neutrino? Thanks. Yeah, sorry. Here’s what I meant: if H is the Higgs SU(2) doublet, with U(1) weak hypercharge assignment 1/2, and L is a lepton SU(2) doublet, with U(1) weak hypercharge assignment -1/2, then LLHH (with the indices properly contracted) is SU(2) X U(1) invariant and Lorentz invariant. This is the dimension-5 operator, which generates a Majorana neutrino mass when H gets a vacuum expectation value that breaks SU(2) X U(1) to the electromagnetic U(1). Since there are really three generations and hence three species of L, we actually get a 3 X 3 Majorana mass matrix. Should we count dimension of Majorana field as 3/2? Yes. In four spacetime dimensions a spin-1/2 field (e.g. a neutrino) has dimension 3/2. That’s because the (dimension-4) kinetic term in the action is bilinear in the field and has one derivative — the derivative has dimension 1, so the field bilinear has dimension 3. In contrast, the kinetic term for a scalar field (e.g. the Higgs) has two derivatives, and therefore the scalar field has dimension 1. O’K, but what about equation (1) in Majorana paper? Weinberg referred to you as his best student when I chatted with him during a stay at Austin. Maybe this is because he did not realize the easy working of the two-trick pony :). Prof. Preskill – In 1986 I was a graduate student at Caltech and taking an advanced particle physics course you taught (mostly QCD). Near the end of the course you were teaching some new stuff on anomalies in 10 dimensions (I guess even you were caught up in the string theory rage). The whole class was lost and you said “It is not really that difficult – its like tax law you just have to work your way through it.” I remember thinking I wish that was so (having a law degree at that time and taken many tax courses). But I could never master quantum field theory and to my regret left Caltech. It was only many years later when new books on QFT by Srednicki, Zee came out that I was finally able to understand and do problems in QFT – I wish I new then what I know now. I loved your notes on quantum computation (though I wish you would publish them as a book). Thanks, Mark. I remember those lectures — the goal was to explain how the Green-Schwarz anomaly cancellation worked. Looking back at the notes (the first 18 pages here: http://www.theory.caltech.edu/~preskill/ph230/notes/230Chapter3-Supplement.pdf ), which are not exactly a model of clarity, I can see that you have a point — the tax law analogy might be unfair. On the other hand, don’t understand tax law.